Please see this link for information on this event. November 29, 2014 from 10 a.m.-3 p.m.
We will have a stall where you can come and visit us, learn about our work and buy some Christmas cards, our Christmas CDs and edible goodies, as well as get your face painted! Eleanor Blanche the London Marathon earlier this year for the Amigos. Eleanor was running in memory of her sister Peta Birch, who set up the Amigos and had helped with the Santa Casa children for over 35 years. Alexander Kenney ran the Brighton Marathon on April 6, 2014 in order to raise funds and awareness for the "Os Pirilampos" and "A Gaivota" Childrens homes. Follow him on Facebook, and donate on his FundRazr page! In December, 2013 the Algarve Senior Bikers Group visited the teenagers at the Gaivota Home in Albufeira to donate €420 raised by the bikers at their Charity Christmas Lunch and previous rides, funds which were used to purchase martial arts equipment. The children of the Gaivota home were the recipients of all proceeds made from the "swim for shoes" during the 2013 festive season. 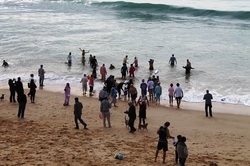 There were 2 opportunities to Swim for Shoes: Christmas Day and New Years Day at 11.00 a.m. on the beach at Armação de Pêra in front of the Holiday Inn Algarve (formerly the Hotel Garbe). Participants recovered in the Holiday Inn Bar with a hot chocolate. Buying shoes for the children who are in care is an ongoing expense and this event helped as many as possible start 2014 with a new pair of shoes. 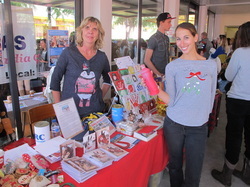 The Peta Birch Community Association was selected as one of the recipient charities for the November 30, 2013 Xmas fair at the Colégio Internacional de Vilamoura. 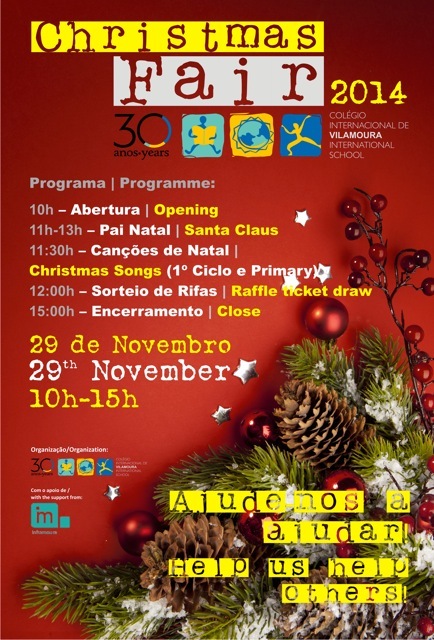 On December 1, 2013 at the Hotel Forte do Vale from 1-4 p.m. KISS FM organized an event for people to bring presents to drop at the Xmas tree for the children at the Pirilampos and Gaivota homes, as well as live broadcasting and entertainment Thanks to KISS FM for choosing our association as the recipient charity and helping the children receive many present this year! The annual charity fundraiser was held on September 21, 2013 to support local charities and charitable associations in the Algarve. The Peta Birch Community Association was selected as one of the recipient charities.